Clapper has meanwhile apologized for this straight lie but has not been prosecuted as far as we know. Instead, diplomatic imbroglio has been caused when overfly permissions had been denied by several European countries, in anticipatory obedience, for the Bolivian presidential aircraft supposed to carry president Evo Morales from Moscow safely back to his country. The whistle-blower, who got stuck in the transit area of the airport, was suspected to be aboard. “No wheeling and dealing” to return Snowden back to America, President Barack Obama had reassured us when having been asked by reporters on his visit of Senegal last week. “I’m not going to be scrambling jets to get a 29-year-old hacker.” The opposite was the case. Obama has become notorious in contradicting his own sayings. Rosenbach had, of course, another example in mind when coining his term, “plausible deniability”. Germany’s secretary of the Interior and boss of its secret service Bundesnachrichtendienst (BND) is about to fly, due to public pressure, to the U.S. and shall visit next week NSA headquarters in Fort Meade in Maryland. On his agenda are discussions of the meanwhile disclosed fact that Germany seems to be a main NSA target in Europe. On the surface. Friedrich has expressed much sympathy for kraken-like surveillance practices of the NSA. He was quick in, well, triumphantly rejecting Snowden’s application for political asylum in Germany. So, “western states are in bed with NSA.” Friedrich’s visit may not really be about criticizing the NSA for their brazen practices. 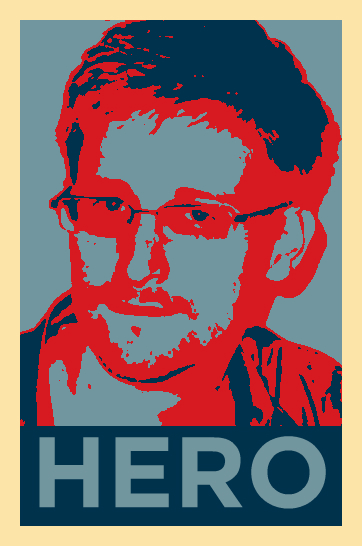 He has probably to discuss with his American counterparts how to minimize and deal with the damage Snowden’s leaks have already caused for public reputation of government representatives. When German Chancellor Angela Merkel called last week U.S. President Barack Obama, who agreed to a “high-level meeting” between US and German security officials in the coming days to address intelligence matters, she probably meant Friedrich and his entourage. 7 July 2013 @ 5:33 pm. Last modified July 7, 2013. This entry was posted in surveillance, USA and tagged Angela Merkel, Barack Obama, DER SPIEGEL, Edward Snowden, Evo Morales, Hans-Peter Friedrich, James Clapper, Marcel Rosenbach, NSA. Bookmark the permalink.